A UK headmaster has been branded a “snowflake”. after he banned pupils at his school from touching the snow. 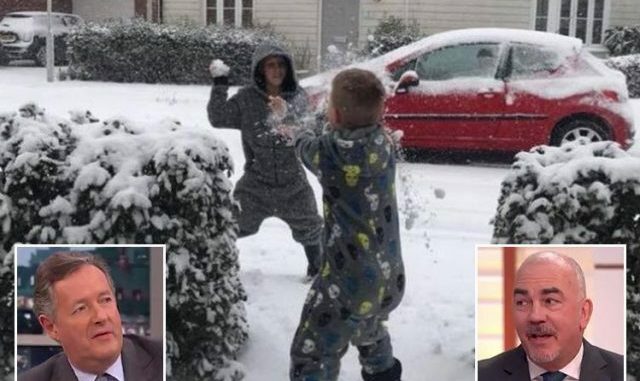 As snow falls across much of Britain, some schools have implemented bans on snowball fights – but one headteacher has taken it a step further and banned students from even touching the snow. Ges Smith, from the Jo Richardson Community School in Dagenham, East London, who is already being mocked for his decision, appeared on Good Morning Britain to defend his rule. He claims his decision was based on “health and safety” concerns. But Smith held his position, responding: “If it was that simple, I would let them throw snowballs all day long. The ban on snow also keeps children from getting their clothes wet – which would make them unprepared for school, according to Smith. However, people are arguing for both sides of the debate on social media. 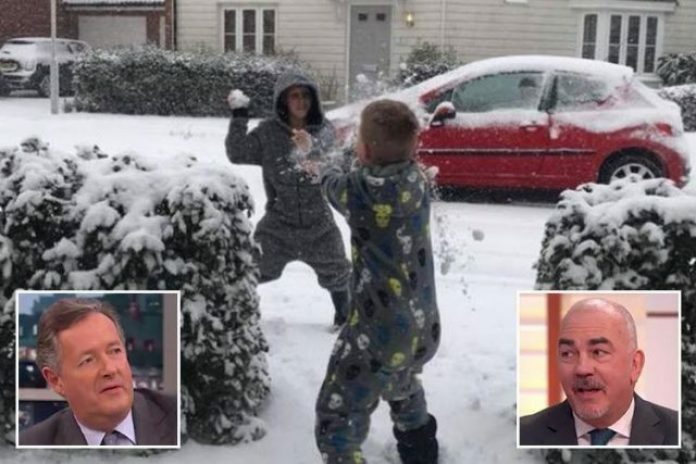 Many have branded Ges Smith a “snowflake” for his stance – especially as some other schools show off “pupils versus staff” snowball fights. Head teacher Ges Smith needs to get a life!! I’ll bet he played as a kid and is still here. Just a damned snowflake – if you’ll pardon the pun.